High blood pressure, or Hypertension to use its correct name, is a chronic medical condition where the blood pressure in the arteries is at a constantly elevated level. Hypertension often causes no symptoms and thus it is often called the silent killer, and long-term it is a major risk factor for diseases such as coronary artery disease, stroke, heart failure, peripheral vascular disease, chronic kidney disease, and vision loss (1-2). You should monitor your blood pressure as part of good health practice, your doctor can help you with this, although home kits are cheap and easy to use if you wish to supplement visits to the doctor’s office with your own measurements. The following chart gives an idea of what blood pressure figures mean and if there might be a problem. Always consult your doctor if you are concerned about your health and always ensure that you get regular health checkups. So how do Polyphenols help vascular health? Blood pressure is regulated by various factors including: How well your heart pumps (cardiac output), The ability of the blood vessel walls to expand and contract passively with changes in pressure (vascular compliance), the total blood volume dependent on blood fluid volume, nervous control systems, and the renin-angiotensin system which regulates vascular resistance and the renin-angiotensin-aldosterone system that regulates blood volume. Polyphenols also have antioxidant effects via their interactions with antioxidant enzymes such as heme oxygenase-1 (HO-1) (11), catalase and glutathione peroxidase (12), free radical scavenging (13) and redox regulation (14). This means that polyphenols can help to protect our vascular cells from inflammation and damage from oxidative stress via these anti-inflammatory and antioxidant effects. We will talk a bit more about how quercetin influences blood pressure via Anti-inflammatory and antioxidant activity later in the article. As well as the above properties, there is growing level of support suggesting that polyphenols are also involved in the regulation of ion transporters and channels(15). An ion transporter, is a transmembrane protein that transports ions across a plasma membrane. They are enzymes which are able to convert the energy from adenosine triphosphate (ATP) and other redox reactions into potential energy that can then be stored in an electrochemical gradient. The stored potential energy can then be utilized by secondary transporters, including ion carriers and channels as needed in order to facilitate vital cellular metabolic processes, in particular ATP-synthesis. The ion channels are pore-forming membrane proteins that allow transported ions to pass through the channel pore. Their functions include creating a resting membrane potential, shaping action potentials and other electrical signals by opening and closing and thus regulating the flow of ions across the cell membrane, controlling the flow of ions across epithelial and secretory cells and also controlling cell volume. Every cell has ion channels and they are one of the two classes of ionophoric proteins, along with ion transporters. Ion environments and their regulation by ion transporters and channels are critical for maintaining homeostasis in the cell and body. Functions such as blood pressure depend body fluid volume via the regulation of epithelial Na+ channels (ENaC) (16), and also hyperglycemia in insulin-resistant diabetes mellitus is caused by low tissue pH levels (17-19). Quercetin reduces the expression of the ENaC by activating the Na+-K+-2Cl− cotransporter 1 (NKCC1), which increases cytosolic Cl− concentration ([Cl−]c) causing ENaC levels to fall (20-21). This means that polyphenols can have beneficial effects on the body including the regulation of blood pressure by reducing vascular contraction (22), and also through renal Na+ reabsorption via regulating ENaC gene expression (23-24) as well as through Na+,K+-ATPase activity (25). In animals, quercetin has been shown to have an antihypertensive effect (26-27), and one study, in particular, reported that quercetin had a direct effect on vascular tension of the aorta in renal renal hypertensive rats (28). The researchers in this study demonstrated that quercetin increased the level of vascular relaxation in the aorta, this was induced by acetylcholine in the hypertensive rats, this means that quercetin very likely has an antihypertensive effect from reducing elastance, the recoil of the blood vessel toward its original dimensions upon removal of a force that was changing its shape or compressing it. Another study reported that quercetin had an effect on systolic blood pressure and the vascular function of deoxycorticosterone acetate (DOCA)-salt hypertensive rats (29). The researchers reported that quercetin could enhance endothelial-dependent aortic dilatations in rats with DOCA-salt-induced hypertension in a similar manner to verapamil, verapamil is a calcium channel blocker used to treat hypertension. Interestingly, this study shows that quercetin was more effective in improving hypertension than verapamil was. This suggests that as well as vascular relaxation, quercetin was able to at least partly decrease body fluid volume as part of its hypertensive effect. This means that quercetin could potentially be used to reduce elevated systolic blood pressure levels associated with aging which are caused by a decrease in compliance of the aorta. Another study showed that quercetin has an antihypertensive action in spontaneously hypertensive rats (30). Another study in spontaneously hypertensive rats reported that quercetin increased the sensitivity of the parasympathetic component of the baroreflex, thus reducing mean artery pressure (31). The baroreflex is one of the body’s homeostatic mechanisms that help to maintain blood pressure at a fairly constant level, and so improving the mechanism allows a higher level of control over blood pressure. Quercetin has also been reported to interrupt the renin-angiotensin system via the reduction of mRNA expression of angiotensin-converting enzyme (ACE) and inhibition of ACE activity (32). Finally, in a study involving NaCl-induced volume-expanded hypertensive rats, researchers reported that quercetin at doses of 50, 100, and 150 mg/kg/day decrease both systolic and diastolic blood pressures in a dose-dependent manner (33). This once again supports that quercetin has an antihypertensive effect via the regulation of vascular compliance, the total blood volume dependent on body fluid volume, the autonomic nervous system, and the renin-angiotensin system. There have been a number of studies showing that quercetin has an effect on blood pressure. A randomized, double-blind, placebo-controlled, crossover study showed that 730 mg/day of quercetin for four weeks decreased systolic and diastolic blood pressures in stage 1 hypertensive patients (34). 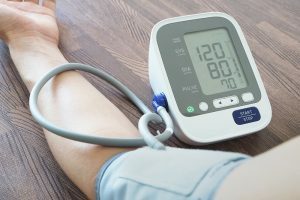 However, the study showed it appeared to have no effect on systolic or diastolic blood pressure in patients with prehypertension. Another study investigating metabolic syndrome showed that a dose of 150 mg/day of quercetin for a period of five weeks decreased systolic blood pressure (35). A double-blind randomized clinical trial involving 72 women with type 2 diabetes showed that a dosage of 500 mg/day quercetin for a period of 10 weeks decreased systolic blood pressure levels significantly (36). Diastolic pressure was not significantly altered by quercetin in this study. A meta-analysis of randomized controlled trials suggests that a quercetin intake of 500 mg/day or great over an 8 week period, but not doses under 500 mg/day, significantly reduces both systolic and diastolic blood pressures (37). Quercetin is known to have anti-inflammatory properties in both humans and animals by reducing the activity of cyclooxygenase, lipoxygenase, reducing the production of PGE2 (38), reducing levels of interleukin IL-1α (39), IL-6 and IL-8 (40), TNF-α, and poly (ADP-ribose) polymerase-1 (PARP-1) (41), and down-regulating vascular cell adhesion molecule-1 (VCAM-1) and cluster differentiation (CD) 80 (42). Quercetin displays antioxidant activity via radical scavenging (43), and by its interactions with antioxidant enzymes, such as heme oxygenase-1 (HO-1), that protects cells from apoptosis by H2O2 oxidative stress, plus it reduces the production of intracellular ROS and mitochondrial dysfunction (44). Quercetin shows its antihypertensive actions (45-46), through anti-inflammatory and antioxidant activity, such as the protection of cardiovascular cells linked to a decrease in triacylglycerol concentration and an increase in HDL-cholesterol concentration (47). It also decreases endothelium-dependent vasodilation via an increase of NO production (48) and also protects endothelial cells against apoptosis induced by ROS damage (49). In salt-sensitive hypertension, a rise of body fluid volume via increased water absorption from high salt intake causes an elevation of body fluid osmolarity. Quercetin has been tested on Dahl rats, a salt-sensitive hypertensive strain of rat in which a high salt intake causes hypertension easily (50). The rats were given a daily dose of 10 mg/kg of quercetin which significantly suppressed the high salt intake induced increase in systolic blood pressure. The rats also showed an increased volume of urine and NaCl excretion into the urine with no effect on plasma aldosterone level (51-52). Quercetin reduces mRNA expression of the pore-forming subunit of ENaC and thus regulates the amount of Na+ reabsorption occurring in the kidneys, this is a primary regulator of blood pressure via the determination of body fluid volume (53). Specifically, the action of ENaC and amounts expressed at the apical membrane of the renal collecting ducts directly controls blood pressure (54-55). Thus this is one way in which quercetin can potentially affect blood pressure. It can also influence the expression of ENaC via interaction with NKCC1, which regulates transepithelial Cl− secretion and [Cl−]c via participating in Cl− uptake in epithelial cells (56). Studies have shown that quercetin stimulates NKCG1 expressed by neural cells, this then facilitates the uptake of Cl− into the cytosolic space driven by the Na+, K+-ATPase-generated electrochemical potential of Na+ (57-59). Quercetin has also been observed to stimulate NKCC1 in renal epithelial cells and cAMP appears to act as a second messenger for the action of quercetin and increases NKCC1 activity via an as yet unknown factor or mechanism that affects the basolateral membrane expressing NKCC1 (60). There is still little known about how quercetin stimulates NKCC1 at the molecular level, it is possible that it is mediated via sulfhydryl modification (61). It is nonetheless interesting that quercetin modifies cellular functions by increasing [Cl−]c via stimulation of NKCC1 (62), when other studies suggest quercetin influences cell functions only via the anti-inflammatory and antioxidant actions mentioned earlier in this article. Perhaps even more interesting, it has been shown that the reduction of [Cl−]c increases the expression of ENaC, whilst increasing [Cl−]c reduces it (63). Quercetin increases [Cl−]c via the stimulation of NKCC1 suggesting that the quercetin-induced reduction of ENaC is through that increased level of [Cl−]c. This is confirmed by use of the Cl− channel blocker, 5-nitro-2-(3-phenylpropylamino)benzoic acid (NPPB), which reduces ENaC expression, it does this by increasing the level of [Cl−]c by inhibiting Cl− release. Quercetin reduces ENaC expression and thus reduces the amount of ENaC mediated Na+ reabsorption in epithelial cells of renal collecting ducts, this lowers high blood pressure caused by high salt intake by reducing elevated body fluid volume. Quercetin modifies blood pressure in various ways in order to have an antihypertensive effect such as vascular compliance, total blood volume dependent on body fluid volume, renin-angiotensin-system via anti-inflammatory and antioxidative abilities, and the autonomic nervous system. More unusually, quercetin also influences ENaC expression to control blood pressure via its regulation of [Cl−]c by activating NKCC1. In summary, polyphenols hold great potential for managing blood pressure and do so in a variety of different ways. (1) Lackland, D. T., & Weber, M. A. (2015). Global burden of cardiovascular disease and stroke: hypertension at the core. Canadian Journal of Cardiology, 31(5), 569-571. (2) Lackland, D. T., & Weber, M. A. (2015). Global burden of cardiovascular disease and stroke: hypertension at the core. Canadian Journal of Cardiology, 31(5), 569-571. (3) Endale, M., Park, S. C., Kim, S., Kim, S. H., Yang, Y., Cho, J. Y., & Rhee, M. H. (2013). Quercetin disrupts tyrosine-phosphorylated phosphatidylinositol 3-kinase and myeloid differentiation factor-88 association, and inhibits MAPK/AP-1 and IKK/NF-κB-induced inflammatory mediators production in RAW 264.7 cells. Immunobiology, 218(12), 1452-1467. (4) Mahmoud, M. F., Hassan, N. A., El Bassossy, H. M., & Fahmy, A. (2013). Quercetin protects against diabetes-induced exaggerated vasoconstriction in rats: effect on low grade inflammation. PloS one, 8(5), e63784. (5) Ghosh, B. (1999). Quercetin inhibits LPS-induced nitric oxide and tumor necrosis factor-α production in murine macrophages. International journal of immunopharmacology, 21(7), 435-443. (6) Bureau, G., Longpré, F., & Martinoli, M. G. (2008). Resveratrol and quercetin, two natural polyphenols, reduce apoptotic neuronal cell death induced by neuroinflammation. Journal of neuroscience research, 86(2), 403-410. (7) Kim, H. P., Mani, I., Iversen, L., & Ziboh, V. A. (1998). Effects of naturally-occurring flavonoids and biflavonoids on epidermal cyclooxygenase and lipoxygenase from guinea-pigs. Prostaglandins, leukotrienes and essential fatty acids, 58(1), 17-24. (8) Mlcek, J., Jurikova, T., Skrovankova, S., & Sochor, J. (2016). Quercetin and its anti-allergic immune response. Molecules, 21(5), 623. (9) Dias, A. S., Porawski, M., Alonso, M., Marroni, N., Collado, P. S., & González-Gallego, J. (2005). Quercetin decreases oxidative stress, NF-κB activation, and iNOS overexpression in liver of streptozotocin-induced diabetic rats. The Journal of nutrition, 135(10), 2299-2304. (10) Ruiz, P. A., Braune, A., Hölzlwimmer, G., Quintanilla-Fend, L., & Haller, D. (2007). Quercetin inhibits TNF-induced NF-κB transcription factor recruitment to proinflammatory gene promoters in murine intestinal epithelial cells. The Journal of nutrition, 137(5), 1208-1215. (11) Chow, J. M., Shen, S. C., Huan, S. K., Lin, H. Y., & Chen, Y. C. (2005). Quercetin, but not rutin and quercitrin, prevention of H 2 O 2-induced apoptosis via anti-oxidant activity and heme oxygenase 1 gene expression in macrophages. Biochemical pharmacology, 69(12), 1839-1851. (12) Bai, Y., Xia, B., Xie, W., Zhou, Y., Xie, J., Li, H., … & Li, C. (2016). Phytochemistry and pharmacological activities of the genus Prunella. Food chemistry, 204, 483-496. (13) Green tea polyphenols as an anti-oxidant and anti-inflammatory agent for cardiovascular protection. (14) Insulin is involved in transcriptional regulation of NKCC and the CFTR Cl- channel through PI3K activation and ERK inactivation in renal epithelial cells. (15) Sun, H., Niisato, N., Nishio, K., Hamilton, K. L., & Marunaka, Y. (2014). Distinct action of flavonoids, myricetin and quercetin, on epithelial Cl− secretion: useful tools as regulators of Cl− secretion. BioMed research international, 2014. (16) Marunaka, Y. (2014). Characteristics and pharmacological regulation of epithelial Na+ channel (ENaC) and epithelial Na+ transport. Journal of pharmacological sciences, 126(1), 21-36. (17) Aoi, W., Hosogi, S., Niisato, N., Yokoyama, N., Hayata, H., Miyazaki, H., … & Marunaka, Y. (2013). Improvement of insulin resistance, blood pressure and interstitial pH in early developmental stage of insulin resistance in OLETF rats by intake of propolis extracts. Biochemical and biophysical research communications, 432(4), 650-653. (18) Hayata, H., Miyazaki, H., Niisato, N., Yokoyama, N., & Marunaka, Y. (2014). Lowered extracellular pH is involved in the pathogenesis of skeletal muscle insulin resistance. Biochemical and biophysical research communications, 445(1), 170-174. (19) Aoi, W., & Marunaka, Y. (2014). The importance of regulation of body fluid pH in the development and progression of metabolic diseases. Advances in Medicine and Biology. Hauppauge, USA: Nova Publishers, 177-189. (20) Nakajima, K. I., Niisato, N., & Marunaka, Y. (2011). Quercetin stimulates NGF-induced neurite outgrowth in PC12 cells via activation of Na+/K+/2Cl-cotransporter. Cellular Physiology and Biochemistry, 28(1), 147-156. (21) Niisato, N., Eaton, D. C., & Marunaka, Y. (2004). Involvement of cytosolic Cl− in osmoregulation of α-ENaC gene expression. American Journal of Physiology-Renal Physiology, 287(5), F932-F939. (22) Jeon, S. B., Kim, G., Kim, J. I., Seok, Y. M., Kim, S. H., Suk, K., … & Kim, I. K. (2007). Flavone inhibits vascular contraction by decreasing phosphorylation of the myosin phosphatase target subunit. Clinical and Experimental Pharmacology and Physiology, 34(11), 1116-1120. (23) Niisato, N., Eaton, D. C., & Marunaka, Y. (2004). Involvement of cytosolic Cl− in osmoregulation of α-ENaC gene expression. American Journal of Physiology-Renal Physiology, 287(5), F932-F939. (24) Fujimoto, S. I., Niisato, N., Sugimoto, T., & Marunaka, Y. (2005). Quercetin and NPPB-induced diminution of aldosterone action on Na+ absorption and ENaC expression in renal epithelium. Biochemical and biophysical research communications, 336(2), 401-407. (25) Mezesova, L., Bartekova, M., Javorkova, V., Vlkovicova, J., Breier, A., & Vrbjar, N. (2010). Effect of quercetin on kinetic properties of renal Na, K-ATPase in normotensive and hypertensive rats. Journal of Physiology and Pharmacology, 61(5), 593. (26) Aoi, W., Niisato, N., Miyazaki, H., & Marunaka, Y. (2004). Flavonoid-induced reduction of ENaC expression in the kidney of Dahl salt-sensitive hypertensive rat. Biochemical and biophysical research communications, 315(4), 892-896. (27) Marunaka, Y. (2014). Characteristics and pharmacological regulation of epithelial Na+ channel (ENaC) and epithelial Na+ transport. Journal of pharmacological sciences, 126(1), 21-36. (28) Choi, S., Ryu, K. H., Park, S. H., Jun, J. Y., Shin, B. C., Chung, J. H., & Yeum, C. H. (2016). Direct vascular actions of quercetin in aorta from renal hypertensive rats. Kidney research and clinical practice, 35(1), 15-21. (29) Galisteo, M., García-Saura, M. F., Jiménez, R., Villar, I. C., Wangensteen, R., Zarzuelo, A., … & Duarte, J. (2004). Effects of quercetin treatment on vascular function in deoxycorticosterone acetate-salt hypertensive rats. Comparative study with verapamil. Planta medica, 70(04), 334-341. (30) Merendino, N., Molinari, R., Costantini, L., Mazzucato, A., Pucci, A., Bonafaccia, F., … & Bonafaccia, G. (2014). A new “functional” pasta containing tartary buckwheat sprouts as an ingredient improves the oxidative status and normalizes some blood pressure parameters in spontaneously hypertensive rats. Food & function, 5(5), 1017-1026. (31) Monteiro, M. M., França-Silva, M. S., Alves, N. F., Porpino, S. K., & Braga, V. A. (2012). Quercetin improves baroreflex sensitivity in spontaneously hypertensive rats. Molecules, 17(11), 12997-13008. (32) Parichatikanond, W., Pinthong, D., & Mangmool, S. (2012). Blockade of the renin-angiotensin system with delphinidin, cyanin, and quercetin. Planta medica, 78(15), 1626-1632. (33) Olaleye, M. T., Crown, O. O., Akinmoladun, A. C., & Akindahunsi, A. A. (2014). Rutin and quercetin show greater efficacy than nifedipin in ameliorating hemodynamic, redox, and metabolite imbalances in sodium chloride-induced hypertensive rats. Human & experimental toxicology, 33(6), 602-608. (34) Edwards, R. L., Lyon, T., Litwin, S. E., Rabovsky, A., Symons, J. D., & Jalili, T. (2007). Quercetin reduces blood pressure in hypertensive subjects. The Journal of nutrition, 137(11), 2405-2411. (35) Egert, S., Bosy-Westphal, A., Seiberl, J., Kürbitz, C., Settler, U., Plachta-Danielzik, S., … & Wolffram, S. (2009). Quercetin reduces systolic blood pressure and plasma oxidised low-density lipoprotein concentrations in overweight subjects with a high-cardiovascular disease risk phenotype: a double-blinded, placebo-controlled cross-over study. British Journal of Nutrition, 102(7), 1065-1074. (36) Zahedi, M., Ghiasvand, R., Feizi, A., Asgari, G., & Darvish, L. (2013). Does quercetin improve cardiovascular risk factors and inflammatory biomarkers in women with type 2 diabetes: a double-blind randomized controlled clinical trial. International journal of preventive medicine, 4(7), 777. (37) Serban, M. C., Sahebkar, A., Zanchetti, A., Mikhailidis, D. P., Howard, G., Antal, D., … & Lip, G. Y. (2016). Effects of quercetin on blood pressure: a systematic review and meta‐analysis of randomized controlled trials. Journal of the American Heart Association, 5(7), e002713. (38) Lee, K. M., Hwang, M. K., Lee, D. E., Lee, K. W., & Lee, H. J. (2010). Protective effect of quercetin against arsenite-induced COX-2 expression by targeting PI3K in rat liver epithelial cells. Journal of agricultural and food chemistry, 58(9), 5815-5820. (40) Kempuraj, D., Madhappan, B., Christodoulou, S., Boucher, W., Cao, J., Papadopoulou, N., … & Theoharides, T. C. (2005). Flavonols inhibit proinflammatory mediator release, intracellular calcium ion levels and protein kinase C theta phosphorylation in human mast cells. British journal of pharmacology, 145(7), 934-944. (41) Geraets, L., Moonen, H. J., Brauers, K., Wouters, E. F., Bast, A., & Hageman, G. J. (2007). Dietary flavones and flavonoles are inhibitors of poly (ADP-ribose) polymerase-1 in pulmonary epithelial cells. The Journal of nutrition, 137(10), 2190-2195. (42) Yang, D., Liu, X., Liu, M., Chi, H., Liu, J., & Han, H. (2015). Protective effects of quercetin and taraxasterol against H2O2‑induced human umbilical vein endothelial cell injury in vitro. Experimental and therapeutic medicine, 10(4), 1253-1260. (43) Krol, W., Czuba, Z., Scheller, S., Gabrys, J., Grabiec, S., & Shani, J. (1990). Anti-oxidant property of ethanolic extract of propolis (EEP) as evaluated by inhibiting the chemiluminescence oxidation of luminol. Biochemistry International, 21(4), 593-597. (44) Chow, J. M., Shen, S. C., Huan, S. K., Lin, H. Y., & Chen, Y. C. (2005). Quercetin, but not rutin and quercitrin, prevention of H 2 O 2-induced apoptosis via anti-oxidant activity and heme oxygenase 1 gene expression in macrophages. Biochemical pharmacology, 69(12), 1839-1851. (45) Javadi, F., Eghtesadi, S., Ahmadzadeh, A., Aryaeian, N., Zabihiyeganeh, M., Foroushani, A. R., & Jazayeri, S. (2014). The effect of quercetin on plasma oxidative status, C-reactive protein and blood pressure in women with rheumatoid arthritis. International journal of preventive medicine, 5(3), 293. (46) Edwards, R. L., Lyon, T., Litwin, S. E., Rabovsky, A., Symons, J. D., & Jalili, T. (2007). Quercetin reduces blood pressure in hypertensive subjects. The Journal of nutrition, 137(11), 2405-2411. (47) Pfeuffer, M., Auinger, A., Bley, U., Kraus-Stojanowic, I., Laue, C., Winkler, P., … & Schrezenmeir, J. (2013). Effect of quercetin on traits of the metabolic syndrome, endothelial function and inflammation in men with different APOE isoforms. Nutrition, Metabolism and Cardiovascular Diseases, 23(5), 403-409. (48) Erdogan, A., Most, A. K., Wienecke, B., Fehsecke, A., Leckband, C., Voss, R., … & Kuhlmann, C. R. W. (2007). Apigenin‐induced nitric oxide production involves calcium‐activated potassium channels and is responsible for antiangiogenic effects. Journal of Thrombosis and Haemostasis, 5(8), 1774-1781. (49) Dayoub, O., Andriantsitohaina, R., & Clere, N. (2013). Pleiotropic beneficial effects of epigallocatechin gallate, quercetin and delphinidin on cardiovascular diseases associated with endothelial dysfunction. Cardiovascular & Hematological Agents in Medicinal Chemistry (Formerly Current Medicinal Chemistry-Cardiovascular & Hematological Agents), 11(4), 249-264. (50) Aoi, W., Niisato, N., Miyazaki, H., & Marunaka, Y. (2004). Flavonoid-induced reduction of ENaC expression in the kidney of Dahl salt-sensitive hypertensive rat. Biochemical and biophysical research communications, 315(4), 892-896. (51) Aoi, W., Niisato, N., Sawabe, Y., Miyazaki, H., & Marunaka, Y. (2006). Aldosterone-induced abnormal regulation of ENaC and SGK1 in Dahl salt-sensitive rat. Biochemical and biophysical research communications, 341(2), 376-381. (52) Aoi, W., Niisato, N., Sawabe, Y., Miyazaki, H., Tokuda, S., Nishio, K., … & Marunaka, Y. (2007). Abnormal expression of ENaC and SGK1 mRNA induced by dietary sodium in Dahl salt-sensitively hypertensive rats. Cell biology international, 31(10), 1288-1291. (53) Marunaka, Y., Niisato, N., Taruno, A., Ohta, M., Miyazaki, H., Hosogi, S., … & Iwasaki, Y. (2011). Regulation of Epithelial Sodium Transport via Epithelial Na< sup. BioMed Research International, 2011. (54) Schweda, F. (2015). Salt feedback on the renin-angiotensin-aldosterone system. Pflügers Archiv-European Journal of Physiology, 467(3), 565-576. (55) Warnock, D. G., Kusche-Vihrog, K., Tarjus, A., Sheng, S., Oberleithner, H., Kleyman, T. R., & Jaisser, F. (2014). Blood pressure and amiloride-sensitive sodium channels in vascular and renal cells. Nature Reviews Nephrology, 10(3), 146-157. (56) Nakajima, K. I., & Marunaka, Y. (2016). Intracellular chloride ion concentration in differentiating neuronal cell and its role in growing neurite. Biochemical and biophysical research communications, 479(2), 338-342. (57) Cermak, R., Föllmer, U., & Wolffram, S. (1998). Dietary flavonol quercetin induces chloride secretion in rat colon. American Journal of Physiology-Gastrointestinal and Liver Physiology, 275(5), G1166-G1172. (58) Cermak, R., Vujicic, Z., Scharrer, E., & Wolfram, S. (2001). The impact of different flavonoid classes on colonic CI− secretion in rats. Biochemical pharmacology, 62(8), 1145-1151. (59) Asano, J., Niisato, N., Nakajima, K. I., Miyazaki, H., Yasuda, M., Iwasaki, Y., … & Marunaka, Y. (2009). Quercetin stimulates Na+/K+/2Cl− cotransport via PTK-dependent mechanisms in human airway epithelium. American journal of respiratory cell and molecular biology, 41(6), 688-695. (60) Sun, H., Niisato, N., & Marunaka, Y. (2014). Quercetin diminishes the cAMP-stimulated Cl− secretion by blocking Na+, K+-ATPase in epithelial cells. J. Physiol. Sci, 64, S116. (61) Ishii, T., Ishikawa, M., Miyoshi, N., Yasunaga, M., Akagawa, M., Uchida, K., & Nakamura, Y. (2009). Catechol type polyphenol is a potential modifier of protein sulfhydryls: development and application of a new probe for understanding the dietary polyphenol actions. Chemical research in toxicology, 22(10), 1689-1698. (62) Nakajima, K. I., Niisato, N., & Marunaka, Y. (2011). Quercetin stimulates NGF-induced neurite outgrowth in PC12 cells via activation of Na+/K+/2Cl-cotransporter. Cellular Physiology and Biochemistry, 28(1), 147-156. (63) Niisato, N., Eaton, D. C., & Marunaka, Y. (2004). Involvement of cytosolic Cl− in osmoregulation of α-ENaC gene expression. American Journal of Physiology-Renal Physiology, 287(5), F932-F939.